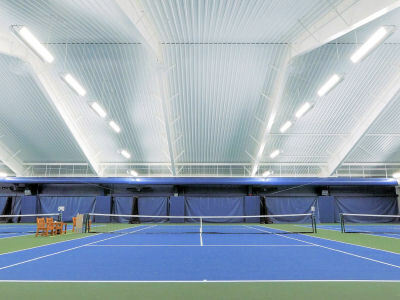 Brite Court Indoor and Outdoor LED Tennis Lighting Fixtures and Systems. 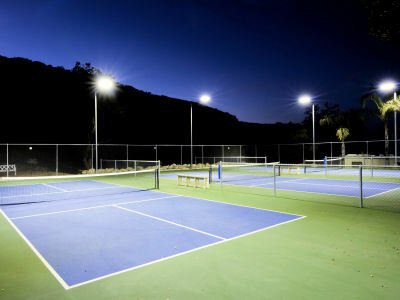 Bright Court specializes in both indoor and outdoor energy efficient LED tennis lighting solutions, our team has been providing tennis court lighting fixtures and design for 20+ combined years. All of our tennis fixtures are specifically designed for tennis and to deliver High Definition performance. Choose your lighting preference below for more information then contact us for a free no obligation quote. 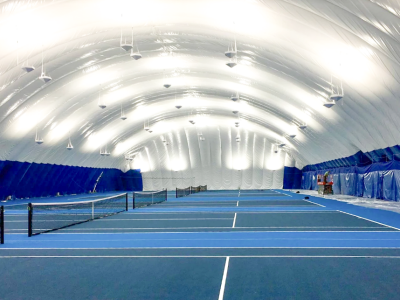 Indirect tennis lighting has long been a popular choice for indoor tennis facilities. We have reinvented this category with several Indirect LED Tennis Lighting options.